Pets are always members of our family and deserved to have the best in food and care, treated and loved. Our uncle’s dog is everyone’s favorite. Though sometimes he may sound like an angry dog, in fact, he is very sweet and lovely. We always happy to treat him and this time Entirely Pets gave us an opportunity to try their product KONG Off/On Squeaker Bear. 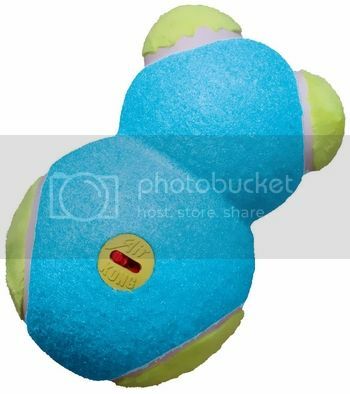 It is a bear shaped squeaker and unlike regular pet toys has a feature to be switched off for no sound play. I had a chance to choose a toy and colors from Entirely Pets collection and I think that bright colors of the KONG’ Bear we got were to Benja’s taste. The Squeaker Bear made of AirDog material which is a nonabrasive tennis material that does not wear down dog's teeth. Kids are usually the first who eager to play with Benja, so one of the popular games with the doggie during cold weather is a rolling and fetch. When the Squeaker Bear gets into someone’s hands that moment fun begins. Now Benja is the honored “bear hunter”. Entirely Pets carries wide varieties of Kong toys, which are durable and made of high quality material. And the most important is that dogs love Kong’s s toys, therea re so many colors, sizes and designs to choose from, just take a look at their web site. 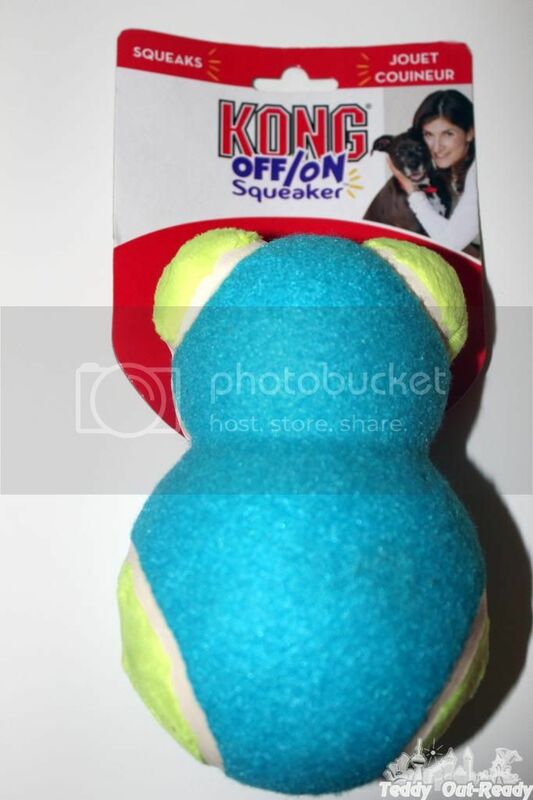 I would get one of their kongs (we have several, my dogs LOVE them) or this http://www.entirelypets.com/skunk-off-liquid-soaker.html because my female get's sprayed every.single.year and sometimes twice. Thanks for posting this to my open Facebook Wall (https://www.facebook.com/JourneysofTheZoo2/posts/630422127024965?stream_ref=10). I'd get a large KONG Safestix. I have two dogs who would enjoy playing with it together. I like the Dental Kongs. I have a puppy, and I'd love for him to chew a toy, and not my shoes! I have 3 dogs so I think I'd get a large KONG Safestix. extreme kong for our bernese! i think I'd pick the KONG Bounzer for my dog Toby. I'd choose Kong Bounzer large. I think my doggy would love just the KONG classic! I would get a dental KONG for our little buddy! Kong Squeez ball. Our old spaniel loved his. It lasted a very long time. I would choose the large dental kong, thank you. I would get the KONG Ball - MEDIUM/LARGE. I think I would choose the Kong Stuff-A-Ball, Medium size. I would choose the small Kong Wobbler. I would choose the Kong Air Squeaker Spinner. I see a lot of toys "I" would want to choose, and I had not realized they even have toys for cats (I have an oriental shorthair cat!) But I really hope to win for my young adult daughter Michae'la's BIG puppy, Australian Cattle dog, Mavric. He has already chewed up and destroyed ALL the toys she and we and others got for him, so he NEEDS a strong quality toy like Kong makes. I would want to let my daughter choose her favorite since he is just our beyond loved granddoggy, but he is HER furbaby! I would choose an extreme Kong. We have a big dog who likes to chew everything!! I would choose this one- KONG Off/On Squeaker Dog - Medium- for my dog!